Consider the demand curve for fare evasion on a train. The price (I suppose) would be the average amount of money paid per ride in fines, and the quantity would be the average number of fare evaders caught. The supply curve would quantify the target number of fare evaders to catch. Normally technological advances push the supply curve rightward. This would correspond with more people getting caught. But this obviously isn't right. If it were easier to catch fare evaders, you'd intuitively expect that the average price in fines per ride for a rider would be higher, thus, quantity would go down. 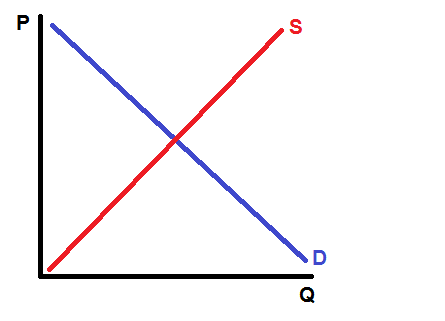 What does the supply/demand curve really look like for fare evasion and what would be the effect of a rightward supply curve shift? The way to get the demand curve is by deriving the utility function. First, the utility function needs to be defined. In this case, the expected utility is the utility of spending \$0 on the fare vs the utility if you get a \$200 fine. in this case, r is the probability of getting away with it. If this is greater than the utility of paying the fare, the fare will be evaded. The exact utility function can take many forms. Popular choices are Decreasing Absolute Risk Aversion (DARA), Constant Absolute Risk Aversion (CARA) or others. Wikipedia is OK on this. The next steps in this analysis are to decide on a utility function. You will need inputs on risk of getting caught and fines. After defining the utility function you will be able to derive the demand curve. 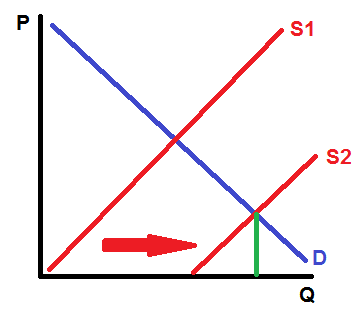 You will also need to define the supply curve. If the fare is something like a train ride, you may be able to set up the marginal cost=0. That allows you to only worry about the fixed cost. A useful resource will be the wiki article mentioned earlier. This Mas Collel book is a very popular graduate text. I think it treats risk aversion relatively well, although I did find it not incredibly accessible. which is price times quantity minus fixed cost. Looking at this simple model, an increase in the proportion of people evading fares, would result in a lower q. This essentially reduces the profit for the firm but does not impact supply.